Here are a collection of fantastic Culinary Garnishing and Carving tools set for you in great Wooden Cases.! Win-Ware Culinary Carving tool Set 80 Piece. 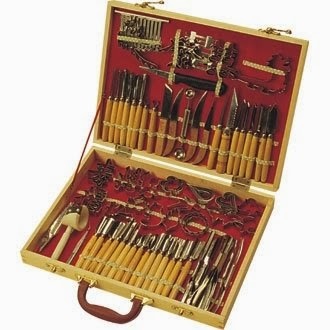 great range of carving tools, knives and decorators presented in a wooden case. Fruit/Vegetable Garnishing/Cutting/Slicing Set. Includes decorators, peelers, cutters, sculptors and more. Fruit and vegetable decorator and saw. Create almost any garnish imaginable. 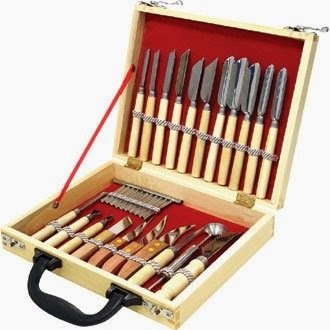 Win-Ware 22 Piece Garnishing tool Set with a great range of carving tools, knives and decorators presented in a wooden case. Fruit/Vegetable Garnishing/Cutting/Slicing Set. Includes decorators, peelers, cutters, sculptors and more.. Double sided fruit and vegetable scoop. 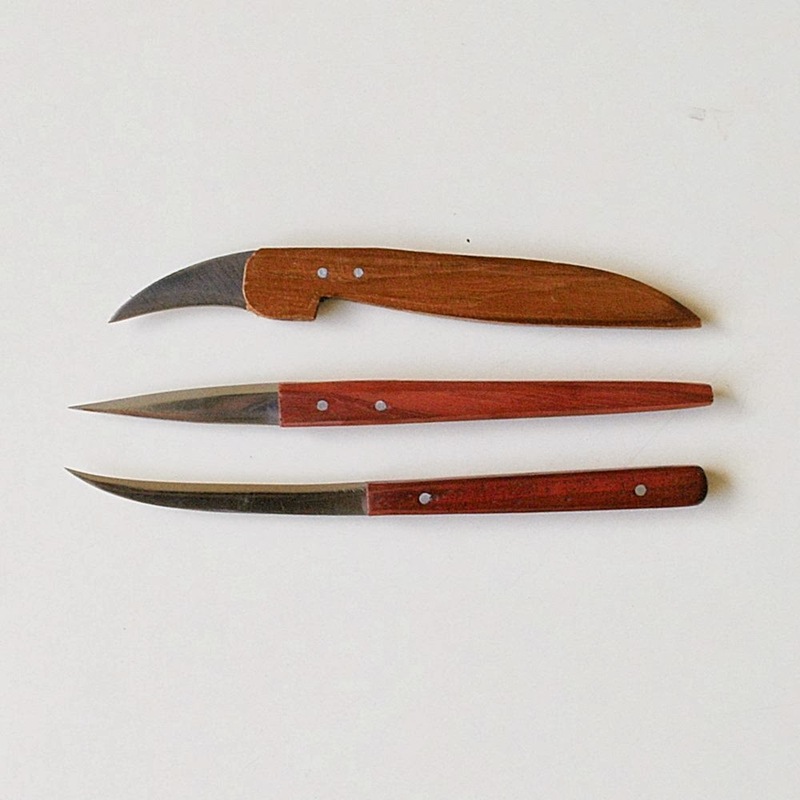 Birds beak knife, pointer and flat stripper. 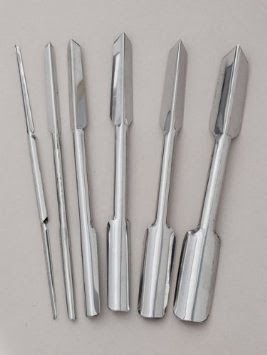 This Garnishing set has every tool you will ever need to decorate your food, branded Curving tool 80 pieces set, coming with Autheniticity Certificate issued Back to 20s LLC. Includes decorators, peelers, cutters, sculptors, slanted knife and crinkle cutter. Includes fruit and vegetable decorator and saw. 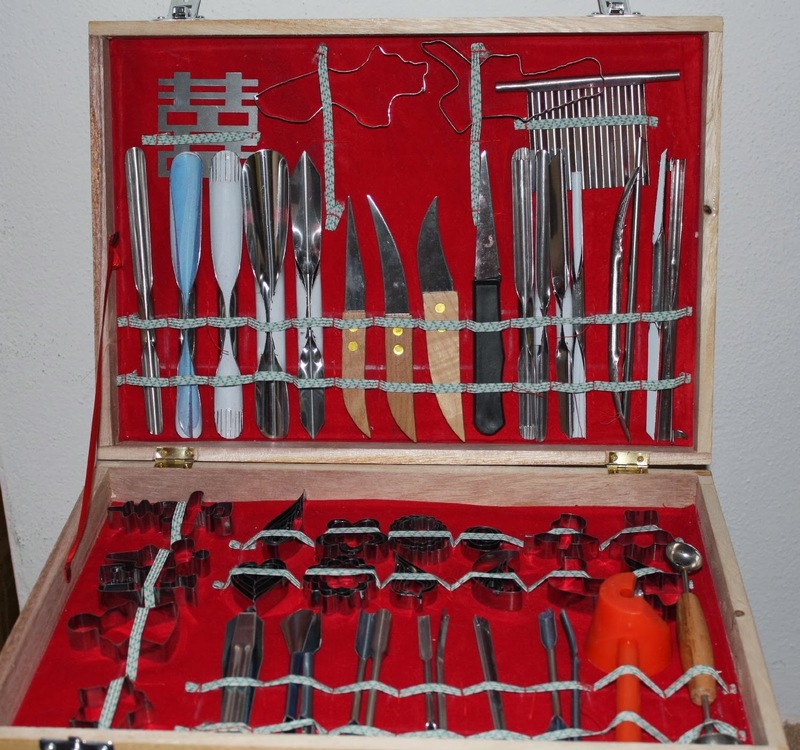 All curving tools are packed in a nice wooden case. 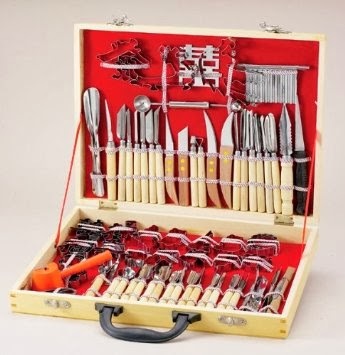 International Culinary Carving Set 80 Piece, With Wood Case! Keep a look out for more Posts coming up! Thank you! Here are a collection of Fruit and Vegetable Carvings Knives and tools sets that will be of interest to you for sure! 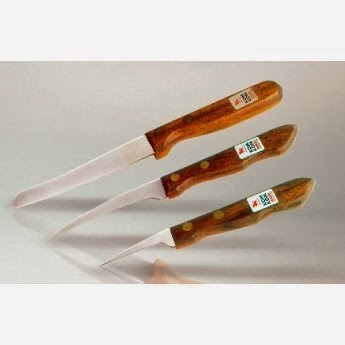 Super sharp 3 piece carving knife set with wood handle. Created especially for the art of vegetable & fruit carving. Set includes: Bird's beak carving knife, a special curved blade seeding knife, and a larger slicing knife for fruits and vegetables. High quality for professional carving at a low price! High carbon stainless steel blades, hardened and tempered. High-end imported carving tools, made from from high quality stainless steel. Save time on repetitive fruit and vegetable carving tasks. Light, durable, and versatile tools essential for modern fruit and vegetable garnishes. Each tool is intelligently designed with a 'U' and 'V' shape to create clean cuts of fruit and veggies with maximum efficacy and minimum fuss. Four piece fruit and vegetable garnishing set designed for fruit carving. Consturcted of strong stainless steel. 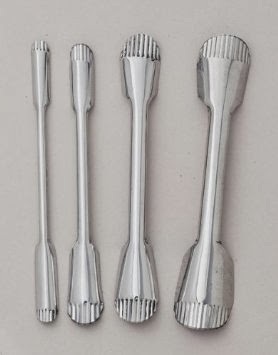 This corrugated carving set includes four double-sided tools. A compact way of having 8 garnishing tools! 3 pcs Carving Kitchen Knives Tools Cutlery Fruit Vegetable Knife Cutter Pumpkin. Take you Pick while I bring to you a great collection of Culinary Carving Tool sets of Larger size and greater number of tools in one set!